As we arrived in Beaufort, we found the town overrun with people streaming down toward the wharf. After scouring the neighborhood streets for a parking place, we headed the way of the crowds toward the waterfront. Some were dressed in colonial costumes–this began to look like fun! Turns out, we arrived just in time for a pirate invasion! Folks lined the piers and watched as the events unfolded on the river. 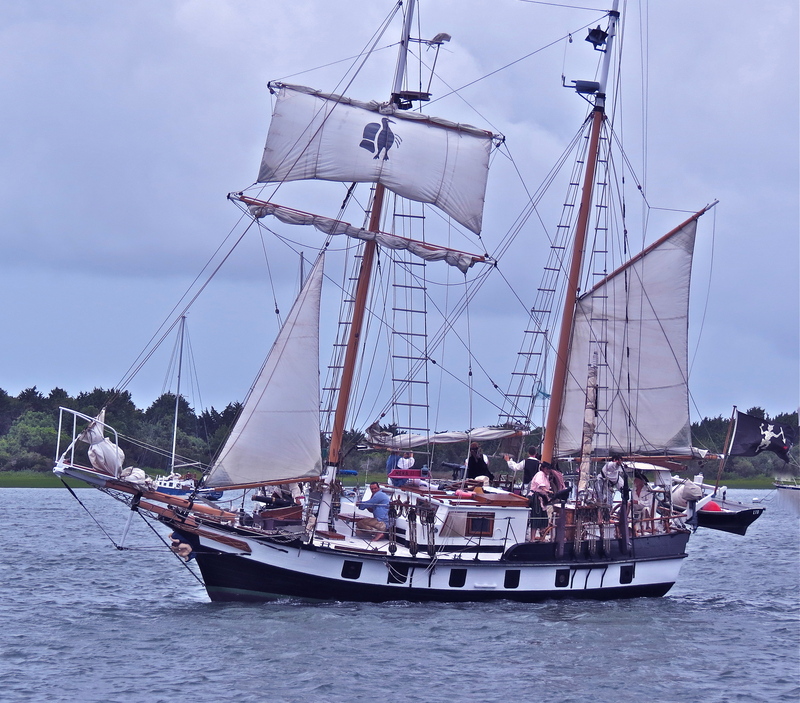 A classic topsail schooner led the invasion by sea, her pirate crew taking aim at the shoreline blasting her cannons. Muskets fired back in defense. Pirates in longboats ploughed the water, and buccaneers on land brandished swords. Townsfolk cheered as the pirates clashed with the military guard. We just happened on Beaufort’s Annual Pirate Invasion: It Takes a Village to Pillage event, the town’s recreating of an actual pirate invasion in 1747. The story goes that Spanish privateers sailed into the harbor and stole several ships, easy pickings when only a few men guarded the coast. Not satisfied, the pirates returned several months later to take the town! About fifty militiamen were not enough to protect the village, so citizens high tailed it out of the area. After collecting more recruits, however, the militia counterattacked, driving the pirates out for good this time. Blackbeard supposedly had been a frequent visitor to Beaufort in the years around 1718. The governor of Virginia, tired of piracy along the coast, sent two sloops on a mission to capture Blackbeard; the governor’s ships eventually tracked down the pirate and an intense sea battle followed in which Blackbeard was killed. Three hundred years later divers discovered the wreckage of his ship, Queen Anne’s Revenge, in Beaufort Inlet. The weekend featured all sorts of pirate activities from sword dancing, pirate cruises and costume contests. The trial and supposed hanging of the pirates highlighted the afternoon. With so many events, I would come back and enjoy the entire weekend! 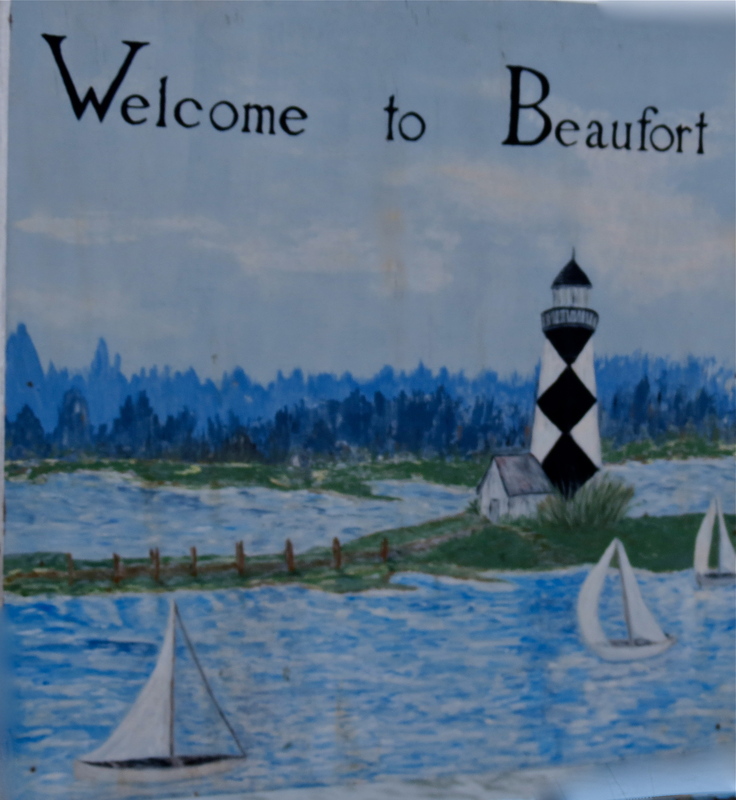 More about our stay in Beaufort as well as our road trip through the towns of coastal North Carolina at the link.